Thank you for clicking through from the JSFN banner advert and for your interest in our products. We would be delighted to arrange a free trial of any of the products that would be beneficial for your research. For help and advice with this please ask one of our application specialists. If you would like a quotation for our equipment, quote the “SFN Banner Ad” to receive a 5% discount on all quotations for moorVMS-LDF, moorVMS-OXY and moorFLPI-2 products, dated until the end of June 2013. Image these travelling waves of blood flow with moorFLPI-2 High resolution laser speckle imaging for assessments in the pre-clinical and clinical settings. Cortical spreading depolarization (CSD) describes a wave of neuronal depolarization associated with influx of cat-ions and water which blocks normal cerebral activity. CSD induces changes to microvascular tone with the vasoconstriction phase (Cortical Spreading Ischemia, CSI) there is associated risk of progressive damage. CSI has been observed experimentally, replicating conditions following aneurysmal subarachnoid haemorrhage, and clinically, in ventilated patients. Pre-clinical and clinical research assessments are all performed with the moorFLPI-2 laser speckle system. Pre clinical assessments are performed with the desktop arm; a mobile, battery backed stand is offered for clinical measurements. The moorFLPI-2 offers exceptional performance with best spatial resolution of 10 microns per pixel. 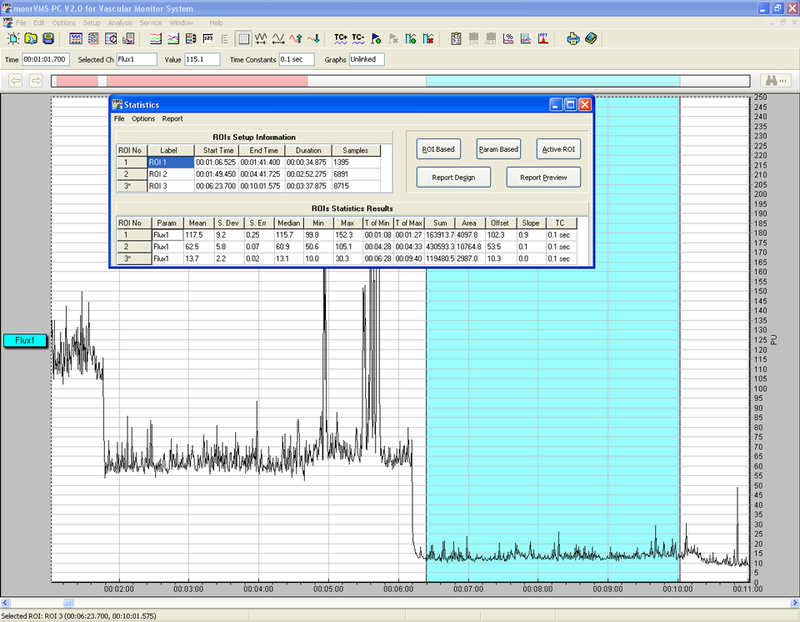 Laser Doppler monitoring with the latest option to combine tissue oxygen measurements with a small needle probe. Real-time measurements provide instant feedback and validity of surgical procedures. It is now considered a standard screening technique to confirm effective occlusion. Various probe options are available according to skull thickness and preferred surgical technique. 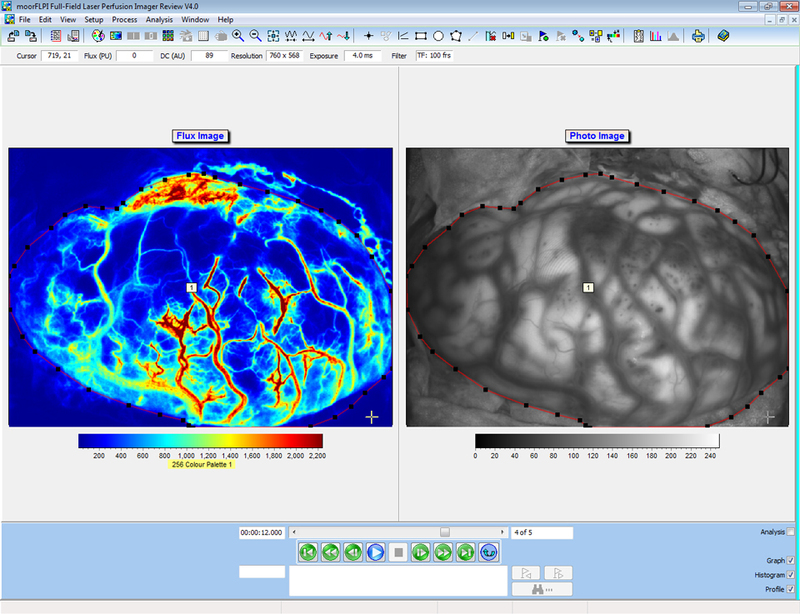 The typical equipment selection will include moorVMS-LDF laser Doppler, with either needle or single fibre probes that are fixed to the skull surface, moorVMS-OXY tissue oxygen monitoring with moorVMS-PC software for easy data capture and visualisation, analysis, storage and reporting. Unprecedented manufacturers warranties and truly breakthrough pricing. Ask for our pre-clinical application note!